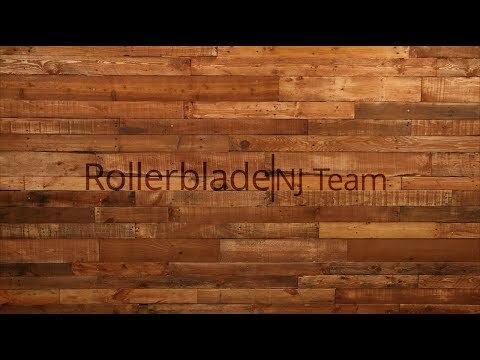 Brand new for 2018 comes the awesome Rollerblade NJ Team Aggressive Skates. Aggressive skating is all about destruction and creation and going as hard as possible with the end goal being awesomeness and that is what you get with the NJ Team skates. When you step into the Rollerblade NJ Team aggressive skates you will have the ability to ride rails, grind and charge like no other. The NJ Team is outfitted with removable components that can easily be replaced should go super hard. The upper part of these skates is highly durable and comfortable. There is a PU Foam Shock Absorber and Double Padded Tongue will give you dampening during those mean landings and all the comfort you can ask for in an aggressive skate. The NJ Team is outfitted with 58mm wheels in the front and back and with 42mm anti-rocker center wheels to make all rails accessible. Take your game to the next level and strap into the Rollerblade NJ Team Aggressive skates. Q: Do the 42mm wheels come with the SG7 bearings? A: No, the middle anti-rocker wheels do not come with bearings, only a hole large enough to fit the axle through. Having no bearings doesn't cause an issue with the anti-rockers since their design is not to roll super fast or even touch the ground but you will need to purchase additional bearings if you want to put regular sized wheels in those spots.